his aim, largely successful, has been to reduce his possessions to those that would fit in a small rolling duffel bag. 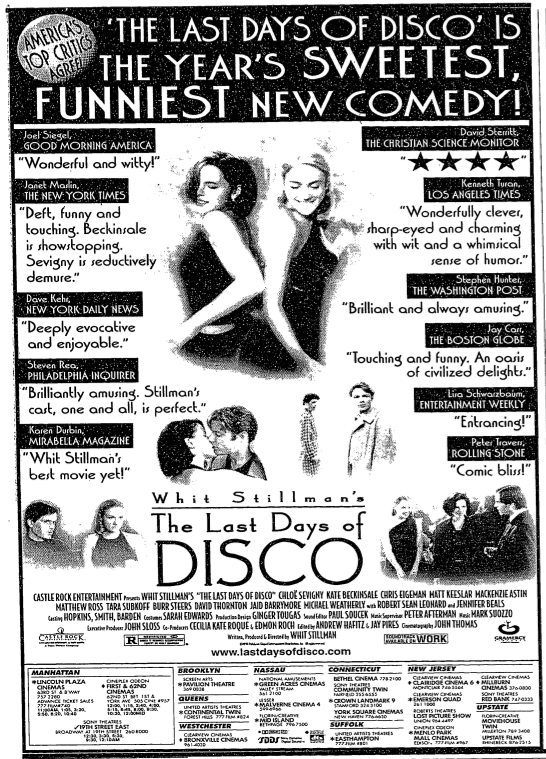 Whit Stillman is interviewed in a recent New York Times article by Alexandra Altra for his upcoming film, Love & Friendship. What do you prefer about the 18th century? In terms of almost everything, I think it’s a superior time, for music, architecture, manners, thought. Not the movies. 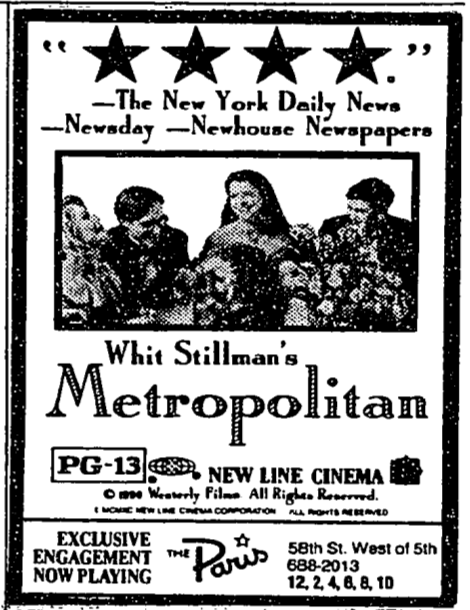 The movies from that time aren’t so good. 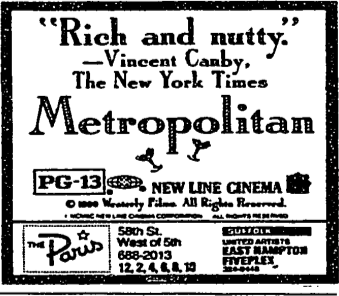 Here are some more old vintage newspaper ads from the New York Times. 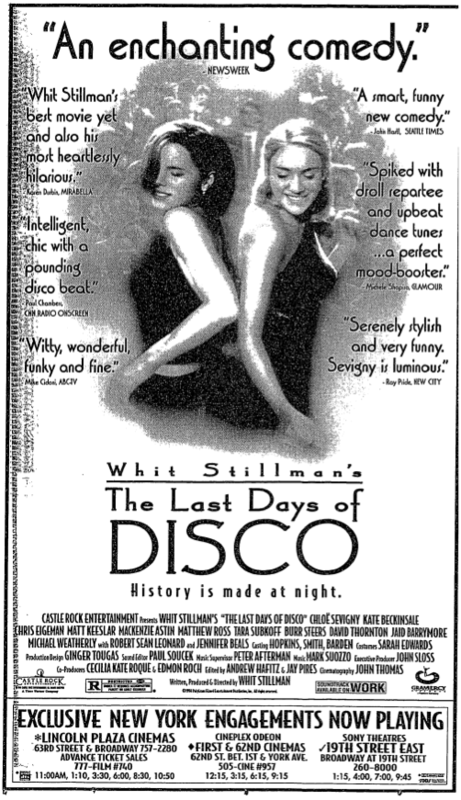 This time they are from Whit Stillman’s The Last Days of Disco.